Anti-Slavery International works at local, national and international levels to eliminate all forms of slavery around the world today. The organisation also has a very active education arm which promotes human rights in schools, colleges and youth clubs throughout the United Kingdom and incorporates two dedicated websites concerning the transatlantic slave trade and the teaching of it. This can be found at Recovered Histories and Breaking the Silence. These sites aim to help teachers and educators to "Break the Silence" that continues to surround the story of the enslavement of Africa that began over 500 years ago. It is designed to provide teachers with a variety of resources and ideas about how to teach the subject holistically, accurately and truthfully. A cross-curricular set of resources have been produced, many of which can be viewed as a PDF on the Recovered Histories website. work in primary schools has mainly been assemblies, but also some workshops and CPD are on offer through contact. Refer to the Recovered Histories website for primary source materials and the Breaking the Silence website which provides a step by step guide as to how to teach this topic effectively. Widen the horizon. Make sure that you do not just focus on the slave trade, but broaden to wider slavery issues and the concept of slavery today. Use plenty of discussion and debate - urge pupils to consider both sides of the debate that were raised at the time. What were the arguments of the abolitionists? Were different groups arguing for different things? For example, Willberforce wanted the gradual abolition of the slave trade, whereas female abolitionists were arguing for the immediate abolition. What were the arguments of those who wanted to keep slavery? Explore the role of several different sectors of society in the abolition of slavery, i.e. different races, classes and genders. How did this campaign fit in with their agendas? Enid Blyton: Blyton can be used not only to examine the racial attitudes of the author as an Englishwoman of the 1950s, but equally as an example of how society and an author of the 1950s was influenced by culture from Africa via the Americas. The Image and songs of Bob Marley can be used to explore issues of freedom fighting. Equiano's book can be used to explore issues around why it was written and validity, as it has now been challenged as to whether in fact he was born in Africa as he claims in the book. There are suggestions that he was in fact born in America. Relate your teaching to the ECM and Community Cohesion agendas, particularly in investigations surrounding the impact of slavery upon other cultures. An example of this might be that Indian and Chinese people were also used as slaves on the plantations. Simply teach slavery in the "poor them" deficit model. The history of slavery is much deeper than simply explaining how slaves were treated and feeling sorry for them. Slaves actively resisted and empowered themselves against plantation owners - they were active in fighting for their own freedom. Use role-play or drama unless you know what you are doing with it. A simple exercise of sitting children under a table in order for them to feel what it was like in a slave ship is not effective as being in a slave ship was nothing like this! Interviews and debate were suggested as better vehicles. 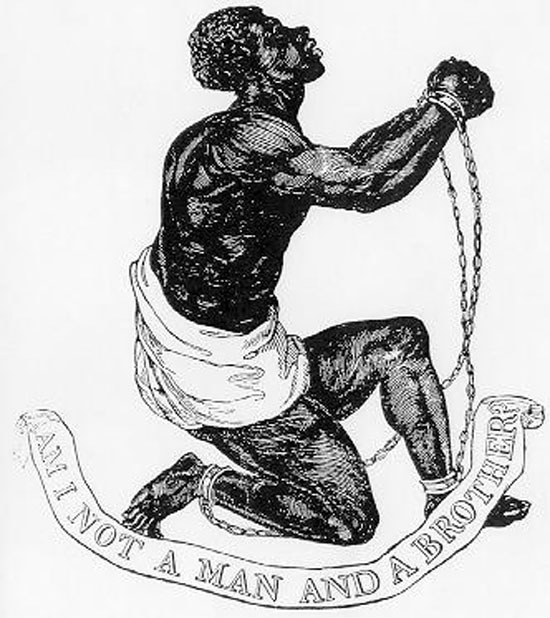 Teach slavery during Black History Month as this will serve to reinforce the negative view of the slave trade period being the only period of ‘black history'. The slave trade history is also not just ‘black history' but world history given its reach and its contemporary legacies. Use film/video clips without a proper knowledge of them. An example of this might be the use of the film Amistad to show pupils what conditions were like on a slave ship. This is all part of the "poor them" style of teaching; whereas other clips of the same film, actually show it to be a very empowering story of slave resistance. Teach the issue of slavery in a black/white divide. Often teachers represent the slave trade as the poor blacks and the nasty whites. This model does not help. Slavery should be taught in the context of the issue and the time. Slavery has long existed, way before the transatlantic trade, and has been practised by many cultures. During the transatlantic trade, there was much slavery in other cultures, and an interesting comparison for pupils is to explore the slavery that existed within Africa at the time.